The two story log cabin, standing at 113 Villa Louis Road on St, Feriole Island, in Prairie du Chien WI, is known as the Charles and Minnie Erdenberger home and then known as William and Esther Obmascher home. (1) It is believed to be constructed by Chas Erdenberger in 1859. When the houses were cleared from St. Feiole Island, the original house looked like the photo on the right. The house picture is from the 4th ward relocation in the late 1960s. Local author Marilyn Leys felt it was a peculiar story that must be told. The life of Jane Fisher Rolette Dousman, the first woman in Wisconsin Territory to file for a divorce, intrigued Leys initially almost three decades ago—many years before she herself would move to Jane’s hometown of Prairie du Chien. Finally, in December of 2013, Leys’ novel, “Madame Jane,” was published. 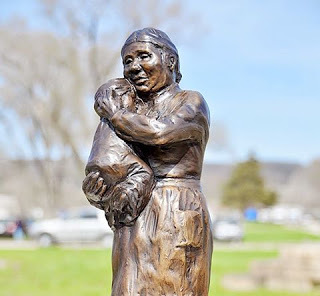 Just after the War of 1812, 14-year-old Jane married Joseph Rolette, the most powerful, ruthless fur trader in Prairie du Chien, the western outpost of the American Fur Company. After she was separated and widowed by Rolette, Jane married a second wealthy fur trader, Hercules Louis Dousman, who built a mansion that preceded the Villa Louis. Jane, Rolette, Dousman—nearly all of the characters in Leys’ book actually lived in or visited the Prairie du Chien area, leaving paper trails she would come across nearly 200 years later while researching letters and legal documents for her hardcover. Leys’ theory is that the elements left out of the first script were omitted because Jane’s granddaughter, who wrote it, was embarrassed by a certain aspect of her grandmother’s life. Leys also discovered upon her second tour of the mansion a disparity regarding the end of Jane’s marriage to Rolette. A separation was mentioned the second time, and not a divorce. At the time of her second tour, Leys had taught journalism and creative writing for 16 years. She was also looking for a project to pursue in order to qualify for a sabbatical leave from Milwaukee Public Schools. Thus, work on her novel commenced. She didn’t do a lot of writing in the beginning, mostly research. She uncovered all the Dousman papers and other family papers and letters that helped tell portions of the stories of Jane’s life. She also got her hands on some European travelogues from the 1820s and 1830s, in which Jane was mentioned; the history of the American Fur Company, which of course provided occupational perspective; and a book owned by a friend whose day job was sewing accurate period costumes. Leys interviewed her 15-year-old granddaughter, Meagan, who later died of cancer. (“Madame Jane” is written in her memory.) When Leys told Meagan it was not unusual for girls her age to be married back in Jane’s days, Meagan wondered if Jane would have had a good friend to confide in with her thoughts and secrets. That is how Jane’s friend, Marie, got into the book. She happens to be one of the only fictional characters in the novel. Another memorable interview Leys landed was with a professor who studied 19th Century American church at Marquette University, Father William Leahy. From their conversations, she learned what a traveling priest would have carried in the post-War of 1812 era. More importantly, he put a finger on why Jane might have backed off on a divorce and settled for a separation. “I gave him the dates and he asked if they were prominent people in the community at the time,” Leys recalled. “His immediate answer was that those were the days when Father Samuel Mazzuchelli would have been in Prairie du Chien.” Knowing the Rolettes’ wealth connected them to Fr. Mazzuchelli, that seemed to be some of the reason behind the separation settlement. Expertise gleaned from Prairie du Chien historian Mary Antoine and additional tours of the properties steered Leys research. In addition, she referenced sketches, photographs and paintings of the main “characters” as well as details from certain letters to create and describe individuals such as Jane, Rolette and Dousman in the book. 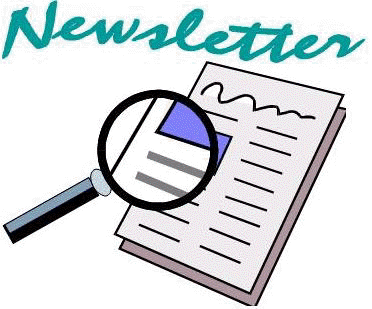 “One of the biggest hints I got was in a letter to Hercules Dousman, from his toupee maker. It said, ‘Because you sweat heavily, we’ve dyed your toupee a little darker,’” Leys commented, laughing. Overall, the research and writing of “Madame Jane” took Leys about 27 years to complete. During the early drafts of the book, the Leyses moved from Milwaukee to a farm in northeast Crawford County. Twenty years later, they moved into the city of Prairie du Chien, where Marilyn originally found Jane’s unexpected story that propelled her vocation to write the novel. For the full, impressive story of Jane’s life, copies of “Madame Jane” may be purchased at the Fort Crawford Museum in Prairie du Chien, Paper Moon in McGregor, Barnes and Noble and Amazon. Prairie du Chien is Wisconsin’s second oldest city. But, did you know that Prairie du Chien had the very first woman physician in Wisconsin? Each September, as part of Women in Medicine Month, the AMA honors influential women physician leaders. This year's theme, "Women in medicine: Innovators and leaders changing health care," reaffirms our commitment to increasing the influence of women physicians and advocating for women's health issues. Marianne Labuche was, indeed an innovator. She used a flattened silver coin to cover a scalp wound. What, you never heard or read that account in the latest medical journal? During September the AMA Women's Physician Section (WPS) also honors physicians who have offered their time, wisdom and support to advance women in medicine. Marianne Labuche, known to her patients as “Aunt Marianne” either treated most of her patients in her own home or spent days in the patient’s home. “Aunt Marianne’s daughter, Adelaide, followed in her footsteps as a medical practitioner. She treated and cured a Prairie du Chien logger who was stabbed during a fight the punctured his lungs. “Aunt Marianne's” Great grandson provided care for the early Gold Rush in California. That’s inspirational. “Aunt Marianne”was also noted as a “person of consequence” according to an 1856 pioneer writer who knew her in the nineteenth century(1). Marianne Labuche was the first non-indigenous medical doctor to practice in Wisconsin (2). Marianne was born before 1774 in “one of the villages below”(2), possibly in a village across the Mississippi River from St. Louis. It is likely that the village’s name was Cahokia. Prior to 1720’2 slaves were brought to this village. Given Mary Ann’s surname it seems that her father, Pierre LaBuche(3), was a French creole from Canada and her mother, Marianne, a slave, from whom she gained her knowledge of the healing art(2). She had thirteen children by three husbands. And, she was the first person that was sent for by the sick and attended to each one regularly as their physician. Even after the U.S. Army provided a physician at Fort Crawford, civilians preferred “Aunt Marianne” as their doctor. She also charged her patients for her services for giving them “device and yarb to drink”. Reports indicate that she was not modest at all about her charges. She took her pay in the produce of the area. It is our pleasure to share details about an inspirational, person who mentored others to pursue medicine.